Can anyone challenge Nadal at the French Open this year? Rafael Nadal is the indisputable King of Clay, a tour de force on the surface who has nearly monopolised one of the four Grand Slams. The French Open title has been seized by Nadal on ten occasions, a staggering level of dominance considering the depth of talent available in this era. Although Nadal has never been too shabby on other surfaces, it is the clay on which he has delivered his best work. He will be looking ahead to the French Open in 2018 as an opportunity to extend his dominance and consolidate his position as the finest clay-courter in the history of the sport. Nadal has endured a troublesome start to the year, with injury denying him participation in the season’s first Masters events at Indian Wells and Miami. Nadal did compete at the Australian Open, although not to the high standards that the Spaniard desires. Having reached the final in 2017 to lose to Roger Federer in a match that heralded the return of two classic rivals to the top of the sport, Nadal would have hoped to go one step further next time around. A kind draw eased Nadal into the competition, as he breezed through the early rounds and took five of his first nine sets of tennis by a scoreline of 6-1. Alas, injury halted his progress. 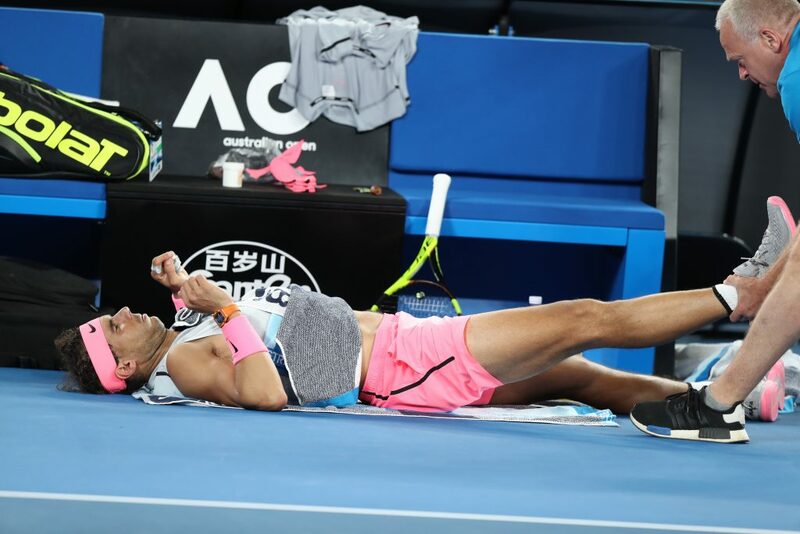 A break down in the fifth set against Marin Cilic, Nadal retired with a hip issue after showing visible discomfort on the court during a series of delays. Cilic may well have beaten a fully-fit Nadal, striking the ball well on his favoured surface, but the injury inhibited the Spaniard so severely that he was forced to retire for only the second time in 264 Grand Slam matches. That record is a testament to the attitude and spirit of Nadal, and that spirit will be tested as the hip injury has manifested into a long-term problem with his leg. A currently-injured Nadal is still the favourite to triumph at the French Open, which is an indication of his dominance but also a reflection on the general quality of the ATP tour at the moment. Federer has once again made the decision to skip the clay-court swing in order to preserve fitness for the grass season, while Andy Murray has his sights set on building up to Wimbledon where he traditionally plays his best tennis. Novak Djokovic has been fit enough to enter Indian Wells and Miami, but his performances there in defeats to Taro Daniel and Benoit Paire respectively have highlighted that the Serbian player will be far short of the level necessary to challenge at Roland Garros. This will benefit Nadal, with Djokovic being one of only two players to have beaten the Spaniard at the French Open. Robin Soderling stunned the tennis world in 2009 when he defeated Nadal in the fourth round, with the Swedish player eventually losing to Federer in the final. Djokovic handed Nadal his second French Open defeat in 2015 when he prevailed with a comprehensive 7-5 6-4 6-1 quarter-final victory. Djokovic went on to lose in the final to Stan Wawrinka, with a clear pattern emerging for those who dare to defy the odds by beating Nadal at the French Open. Incidentally, the only other French Open in which Nadal has competed but not won came in 2016 where he withdrew mid-tournament as a consequence of a wrist injury. It is fair to say that he quite enjoys himself at Roland Garros. Nadal’s game naturally thrives on clay, with his ability to cover the court making him formidable in long rallies. Few can break down his resilient defence consistently, while his aggressive shot-making enabling him to turn points on their head. Even Federer has been frequently found wanting against Nadal on clay, having won just two of their fifteen encounters on the surface. If Federer can’t get the measure of Nadal, what hope does anyone else have? Dominic Thiem has been mooted for the past few years as a player who can win the French Open. A caveat to that prediction is usually that he will win it when Nadal has retired, as a fit Nadal is expected to blow away all obstacles in his path. Nadal’s recent injury concerns will give contenders a slightly elevated level of hope that the Spaniard will not be at his supreme best, but such is his mentality and comfort on the surface that he will likely find a way to win unless his opponent is having the match of their life. Thiem has the prestigious honour of being the only player to defeat Nadal on clay in 2017, with Nadal winning 24 of his 25 matches on the surface. Thiem’s 6-4 6-3 victory in the quarter-final at the Rome Masters displayed a player with clay-court pedigree and Slam-winning potential; Thiem’s subsequent 6-1 6-0 defeat in 59 minutes against Djokovic in the semi-finals showed anything but. Thiem redeemed himself somewhat at the French Open by whitewashing Djokovic in the final set of a straight-set victory, although then received a 6-0 pasting in the final set of a straight-set victory at the hands of Nadal. That his main contenders can be overwhelmed on clay shows the current chasm in quality between Nadal and the rest of the pack. It was hoped that Wawrinka could put up a strong resistance in the French Open final in 2017, having previously demonstrated the kind of form that took him to the 2015 title. Yet Wawrinka, like everyone else that year, failed to take a solitary set away from the Spaniard. 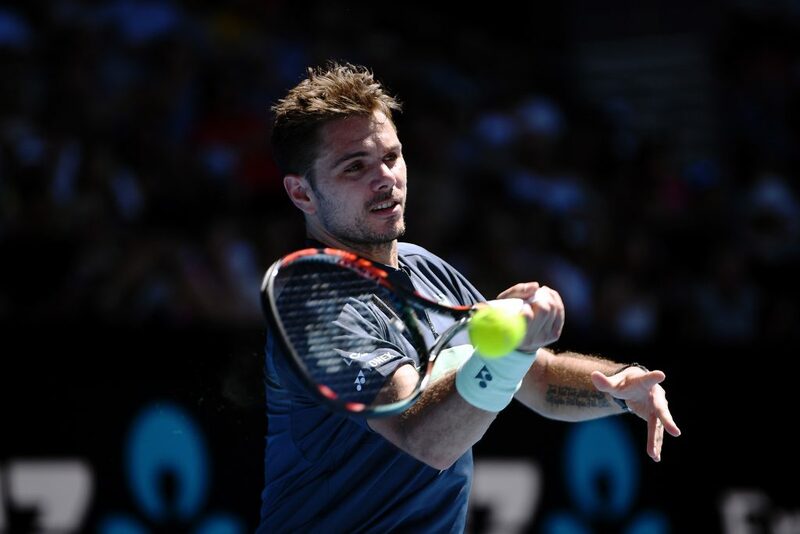 Wawrinka is unlikely to be anywhere near his peak level this year and is not considered one of the leading contenders at upcoming Grand Slams. Beyond that, there are no other players with genuine aspirations on glory at Roland Garros. Alexander Zverev triumphed on clay at the Rome Masters last season in addition to a title in Munich, but the young German followed up his Rome success with a first-round defeat to Fernando Verdasco at the French Open. Zverev is yet to convince at any Grand Slam, so winning the entire tournament at Nadal’s Grand Slam is likely to be a step too far for the young German at this stage of his career. The clay-court swing may reveal a new contender who is ready to challenge for the throne, but a healthy Nadal is incontrovertibly still the King of Clay.